- The recent attribution of a Leonardo da Vinci painting via fingerprinting (shown above). You can read about the story here and see a BBC video clip here. Heidenkind expressed some of her reservations about this new attribution, and I kind of feel the same way. I’m not sure if I’m ready to jump on the “La Bella Principessa” bandwagon yet. - Earlier this month Egypt cut off ties with the Louvre due to an ownership dispute regarding antiquities. In order to maintain good relations, the Louvre quickly agreed to return five fresco fragments to Egypt. 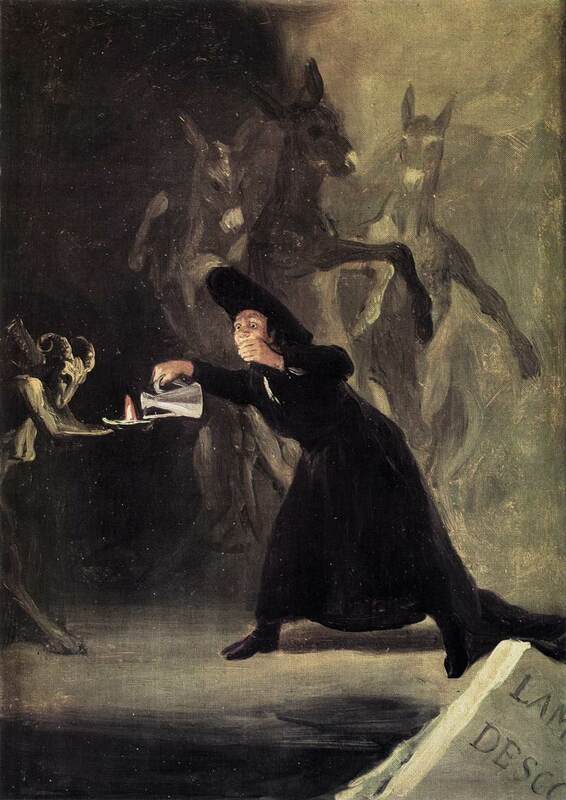 I like to keep up-to-date with major/interesting art news on this blog, but I realize that it’s not feasible to write about everything (especially since I tend to get distracted and write about whatever I’m thinking about/researching). So, I’ve decided to start a Twitter account for Alberti’s Window. Please follow me. You also may have noticed that I’ve also uploaded a “tweet feed” on the left side of the blog page. 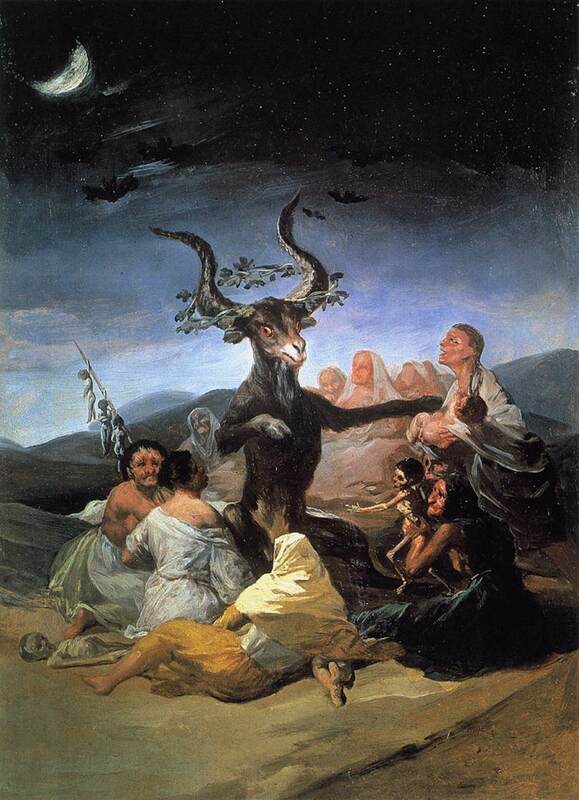 I’ll tweet about interesting art news, short art history thoughts, and one-liner reviews of art exhibitions. It should be fun! My friend rachsticle just got back from a trip to China. 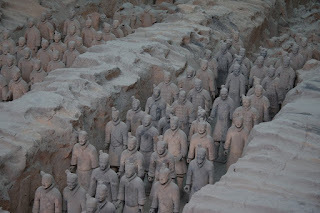 I am really, REALLY jealous that she got to see the terracotta warriors at Xi’an. These warriors are placed to protect the tomb of the emperor Qin Shi Hugandi, who proclaimed to be the first emperor of China in 221 BC. So, what’s the big deal about these warriors? Well, first off, it’s estimated that there are about TEN THOUSAND of them. These warriors were discovered in 1974, and over the past thirty-five years only about an eighth of the warriors have been excavated. Some of these underground vaults and pits are very hard to access (there are around 600 pits that cover a 22 square-mile area), but excavations are still in progress. Huangdi arranged a mass-production project to create all of these warriors. Almost in assembly line fashion, artisans cranked out bodies and then customized them with ears, mustaches, hats, shoes, etc. Many of the figures appear strikingly individualized, but it’s not likely that they were modeled after real people. Instead, it’s more probable that the workers were instructed to represent different regional types of Chinese people. If you don’t have plans to go to China soon, you could still see some of these statues in Washington DC. Next month, terracotta warriors will be on display in the National Geographic Society Museum, as part of an exhibition series which features the largest collection of these statues to ever leave China. You can read more about these statues and the upcoming exhibition in this Smithsonian article. It appears that the artisans had different molds for body types. Look at how some of the bodies are skinnier than others. 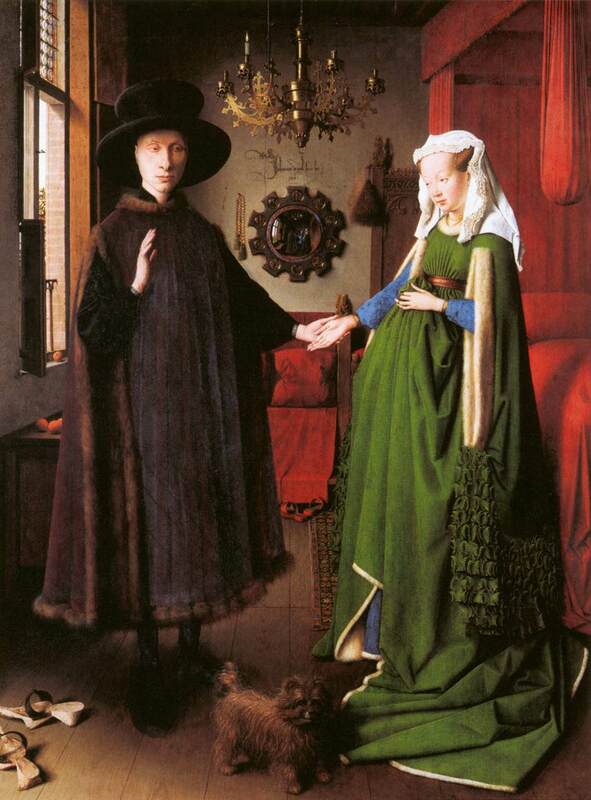 Most people are familiar with Giovanni Arnolfini because of his infamous family portrait by Jan van Eyck (1434). 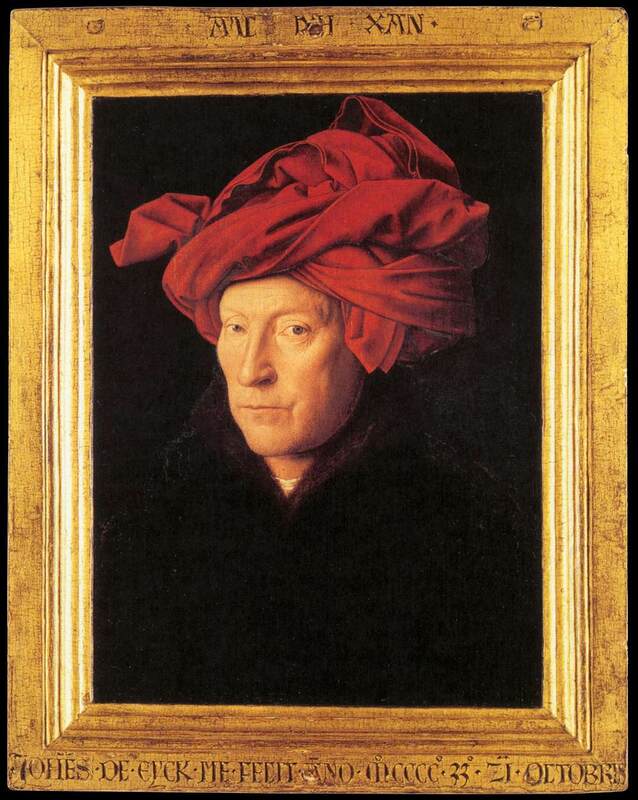 But did you know that Jan van Eyck made another portrait of Giovanni Arnolfini? 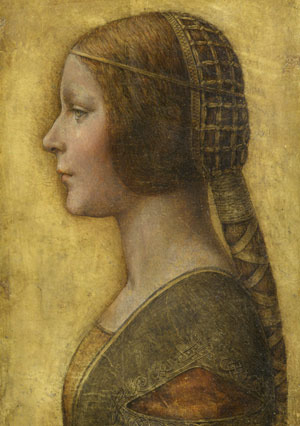 This portrait, shown above, dates c. 1435. 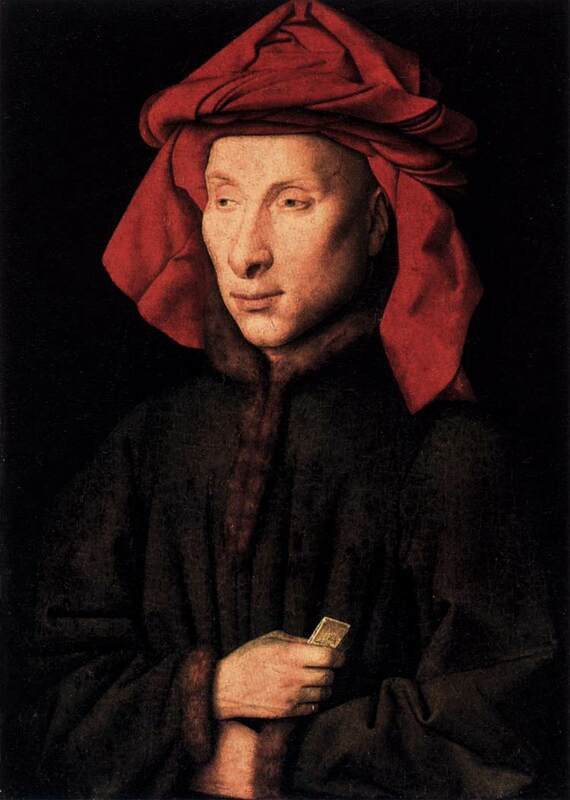 I’ve never thought that Giovanni Arnolfini was very attractive, and seeing this portrait has further solidified my opinion. But who knows? Maybe he had a great personality, right? 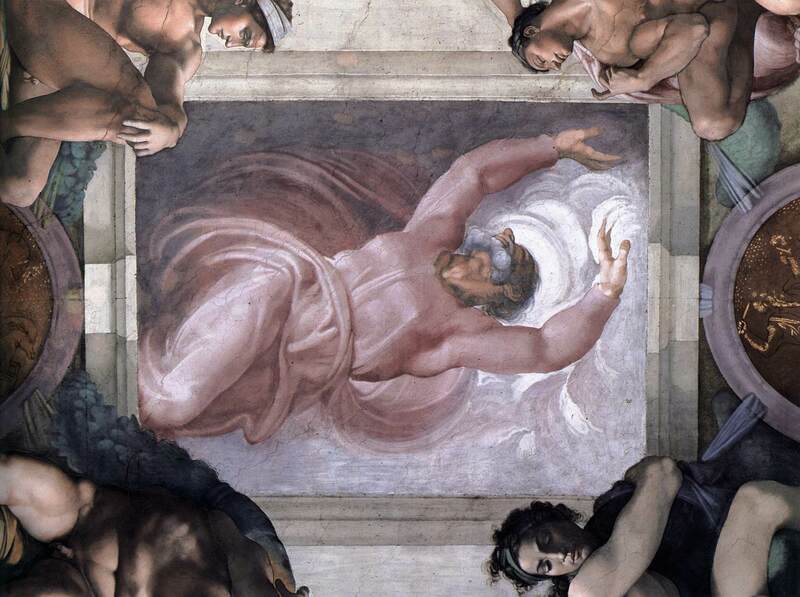 Last night I heard Gary M. Radke give a lecture on the Michelangelo’s Sistine Chapel ceiling (1508-1512). Radke pointed out an interesting similarity between two scenes on the ceiling, the Creation of Adam (detail on left) and the Drunkenness of Noah (detail on right). Both of these figures are positioned in the same manner, and Radke finds that to be quite significant. 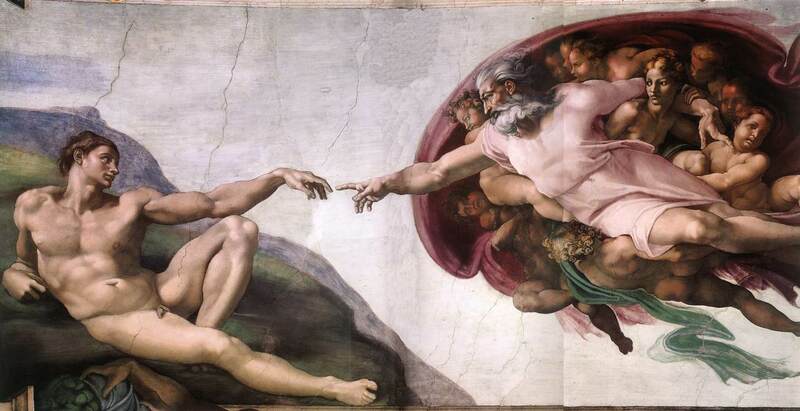 In order to understand the significance, though, I should explain more about the program of the Sistine Chapel. The panels on the ceiling depict early moments in biblical history, which mainly focus on events around/during the Creation, Fall, and Flood. What is interesting, though, is that one who enters the chapel sees the panels in an anachronistic manner. 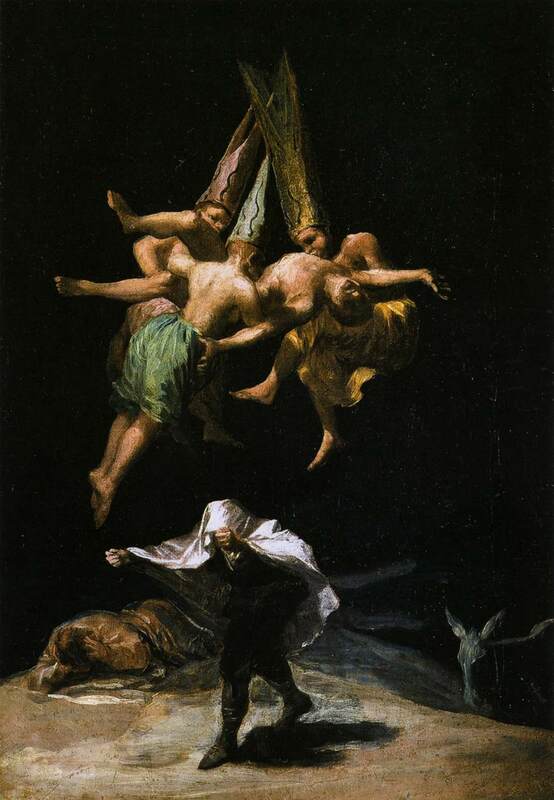 In other words, the last panel, The Drunkenness of Noah, is the one that is placed over the entrance to the chapel (The Drunkenness of Noah is at the top of this image of the ceiling). As one walks further and further into the chapel, the biblical scenes go backwards in time, showing the Flood, then the Expulsion from the Garden, then the Creation of Adam. Scenes of the Creation appear at the other end of the chapel, culminating in God’s Separation of Light from Darkness (which is located over the altar). With all this in mind, it’s interesting to see a similarity between Adam and Noah. 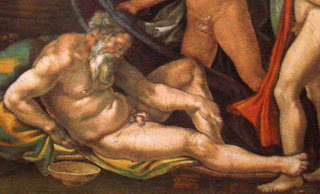 Noah is shown as a fallen, sinful, elderly man. 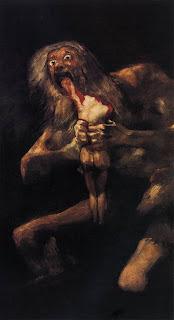 In contrast, Adam represents the innocence, purity, and youth of the Creation. 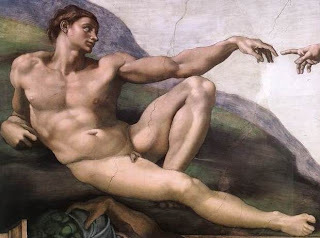 Yet the two figures are shown in the same position, which emphasizes that Adam and Noah also serve as broader symbols of humanity. I really like that. *Granted, not everyone would have been able to walk through the choir screen. The lay people would have been expected to stay on the side of the screen which is closest to the doorway. (Too bad for them, huh? They would never be able to approach the pure, sinless moments depicted in the Creation scenes.) Nonetheless, one can still see how the choir screen fits into the program and symbolism of the ceiling.